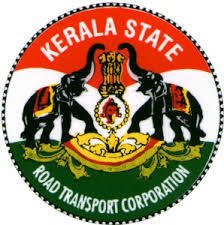 The history of Kerala State Road Transport Corporation began whilst the development of the transport industry it wasn't booming enough like today. The Travancore State Transport Department (TSTD) was constituted by the erstwhile Travancore Government with a view to reorganize the transport service of the State.Mr E.G. Salter, Assistant, Operating Supdt of London Passenger Transport Board was appointed as Supdt on 20.9.1937. MBA (Finance) fiom IIM or a Nationally reputed institution’ with post qualification experience of 10 years at a middle management level in a large commercial or manufacturing organisation. The Principal Secretary to Governntent, Transport Department, Room No. 394, Main Block, Government Secretariat, Thiruvananthapuram – 1.